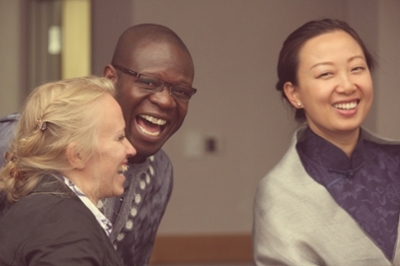 The Hubert H. Humphrey Fellowship Program provides a year of professional enrichment in the United States for mid-career professionals from developing countries throughout the world. The Humphrey Program is a Fulbright exchange activity. It is primarily funded by the U.S. Congress through the Bureau of Educational and Cultural Affairs of the U.S. Department of State. The Institute of International Education (IIE) assists the U.S. Department of State in administering the Humphrey Fellowship Program. The Hubert H. Humphrey Fellowship Program provides ten months of non-degree academic study and related professional experiences in the United States. Humphrey fellows are selected based on their leadership potential and commitment to public service. The Humphrey Program fosters a mutual exchange of knowledge and understanding about issues of common concern in the United States and the fellows’ home countries. The program offers fellows valuable opportunities for leadership development and professional engagement with Americans and their international counterparts. Fellows who are otherwise strong Humphrey candidates but need improved English to benefit fully from the Humphrey experience participate in intensive English language training before the start of their Humphrey Fellowship Program during the spring and summer months. University of Montana is currently the only university in the United States to offer long-term intensive English language training to the Humphrey Fellows. For more information about the Hubert H. Humphrey program, please visit The Hubert H. Humphrey Fellowship Program website.